 Critical environmental features (CEFs) are defined in the City of Austin Land Development Code 25-8-1. Spring critical environmental features (CEFs) were digitized from construction plans, environmental assessments and City of Austin staff review and field observations. Seeps are not protected as CEFs but are noted for reference. Critical environmental features (CEFs) are defined in the City of Austin Land Development Code 25-8-1. This dataset represents Rock Outcrop Critical Environmental Features (CEFs) identified during the development review process since 1995. Prior to 1995, data is either unavailable or lost. Rock Outcrop CEFs were digitized from construction plans, environmental assessments, and City of Austin staff field observations into a versioned SDE database using ArcMap. Grasslands are areas of undeveloped land in the Austin ETJ where the dominant vegetation consists of sizeable communities of predominantly native grasses. The purpose of this feature class is to track the preservation of grassland or prairie areas. These grasslands were digitized from construction plans, environmental assessments, and City of Austin staff field observations into a versioned SDE database using ArcMap. Actual areas for any particular feature may be fluctuate due to antecedent rainfall, subsequent development activity or the invasion of woody species, Grasslands are not, at the time of this writing, a protected Critical Environmental Feature.